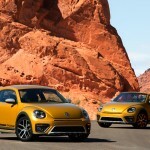 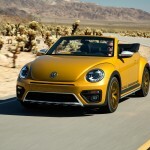 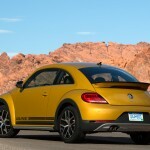 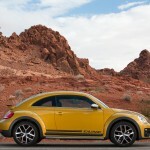 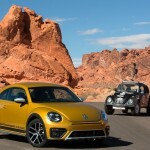 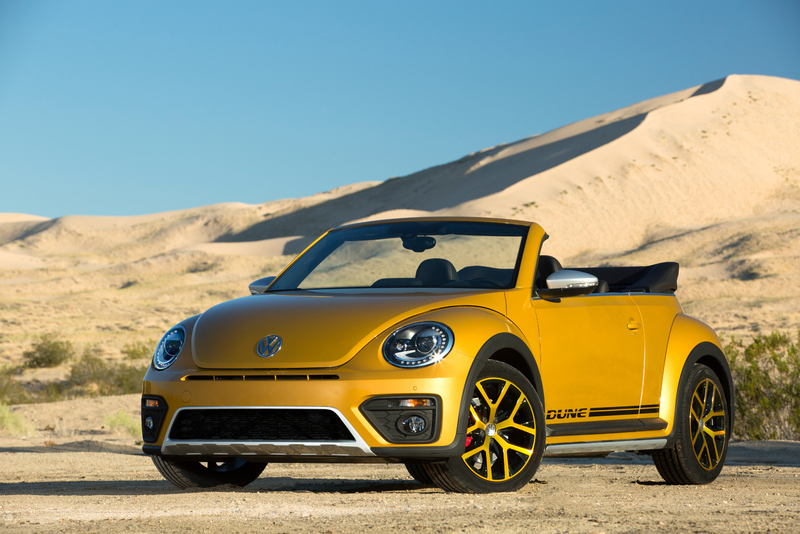 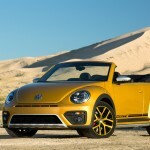 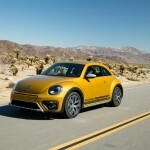 The all-new Volkswagen Beetle Dune also previewed as the Dune Concept at the 2014 Detroit Auto Show, was recently launched in the virtual world, the model heading to the 2015 Los Angeles Auto Show for an official unveiling. 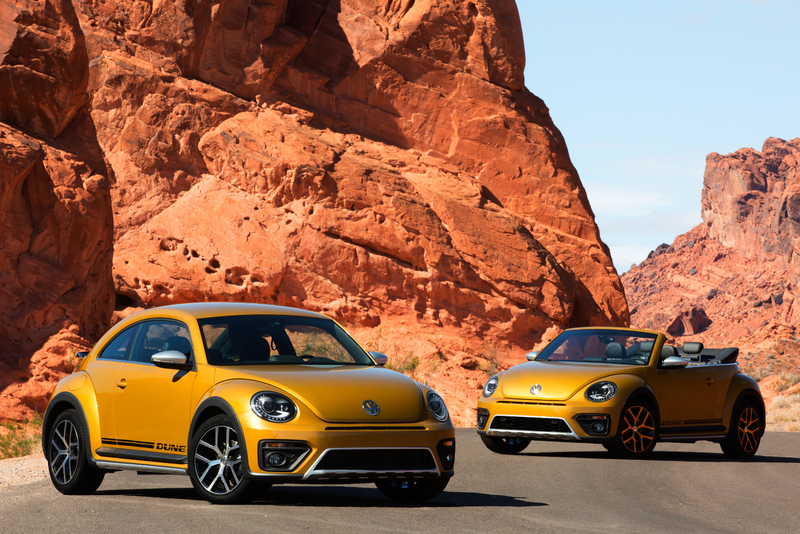 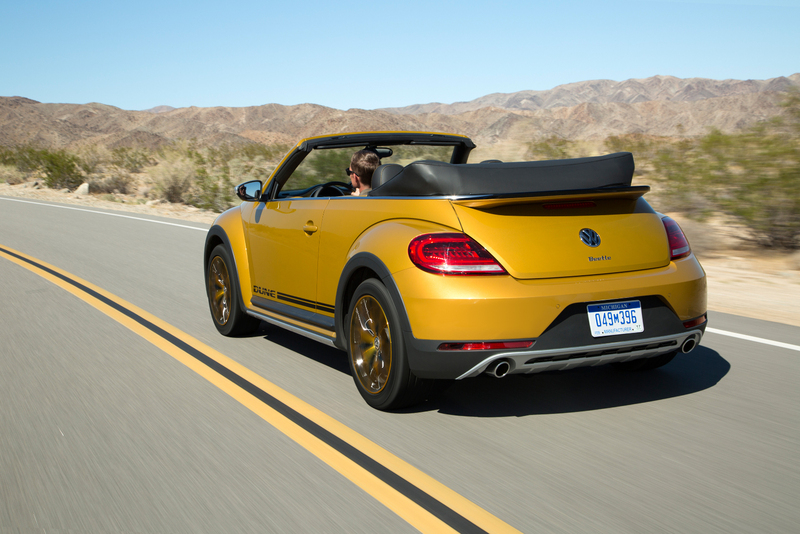 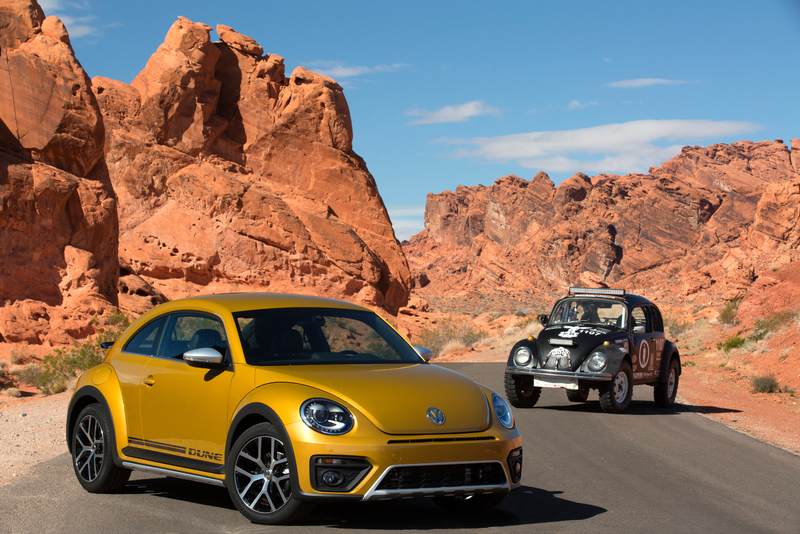 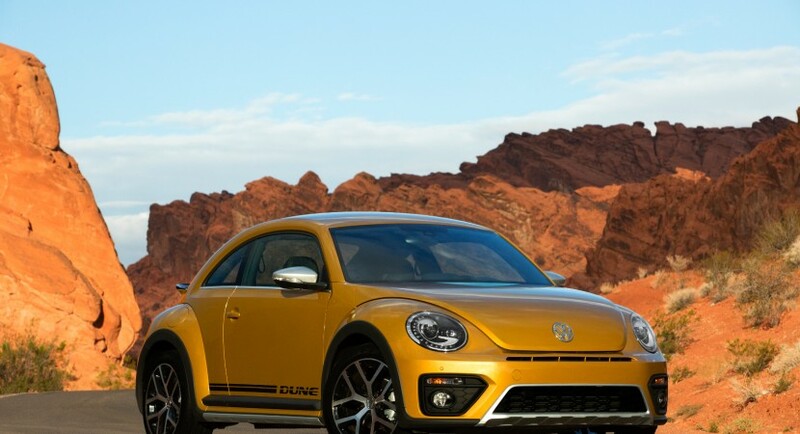 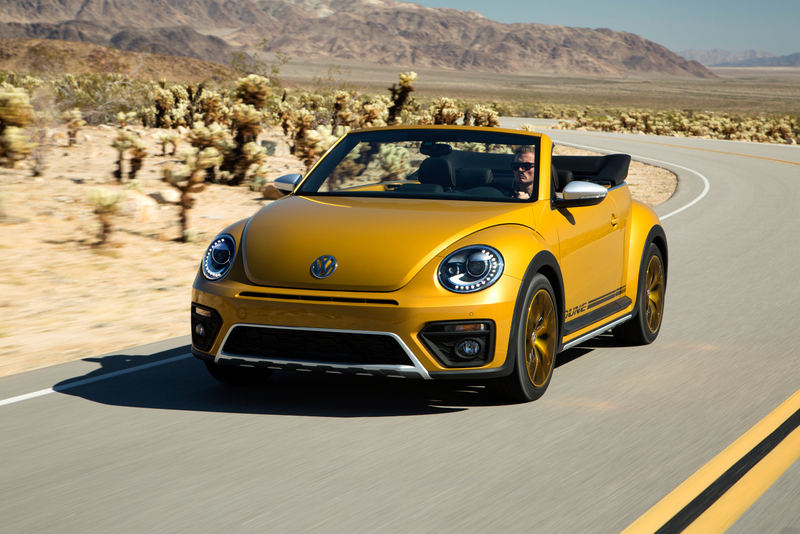 The 2016 Volkswagen Beetle Dune is coming with a distinctive body style which will set it apart from the standard Beetle, thanks to the new body parts. 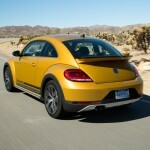 As we can depict from the pictures, the model is fresh both at the front as well as at the rear end. 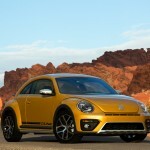 The font comprises a new sporty front fascia with honeycomb grille inserts and a faux aluminum skid plate. 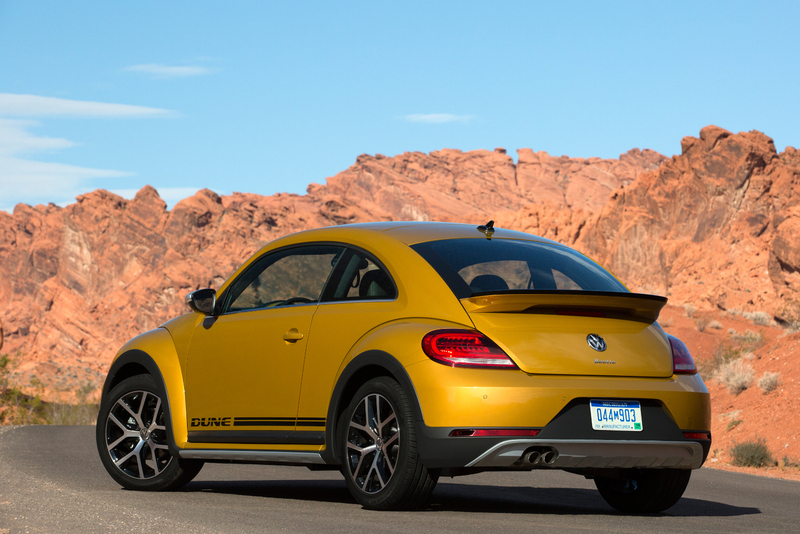 The rear end features a new bumper, blacked-out arch extensions, polished aluminum side skirts, body side graphics, along with tailgate-mounted spoiler, LED headlights and so on. 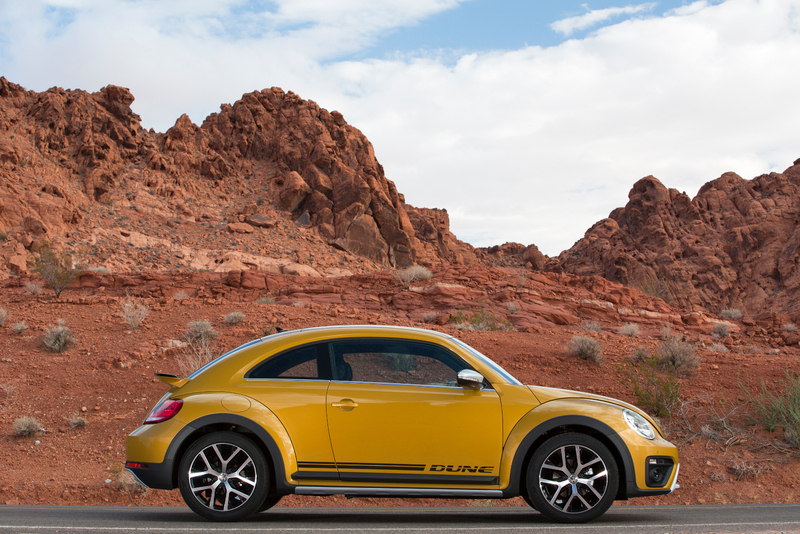 The overall design is complemented by the 18-inch Canyon alloy wheels. 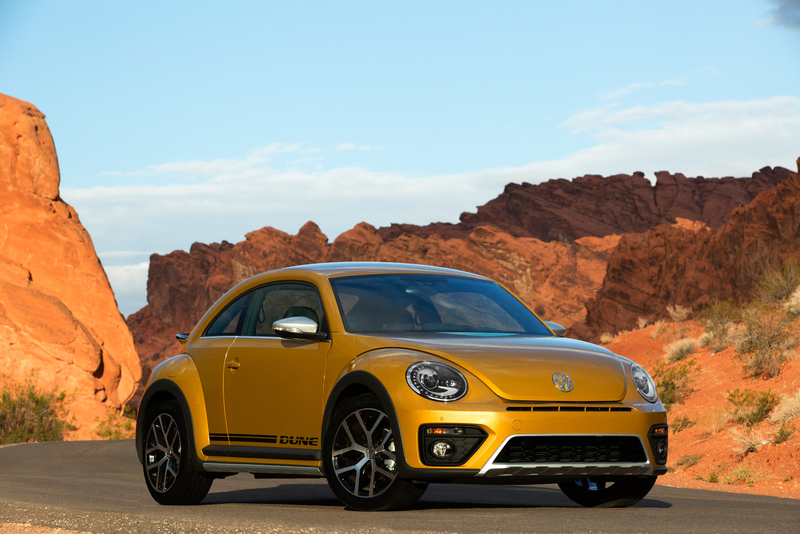 Under the hood, the new Beetle Dune packs a 1.8-liter TSI four-cylinder petrol mill, with 170 horsepower and 249 Nm of torque, hooked to a six-speed automatic transmission. 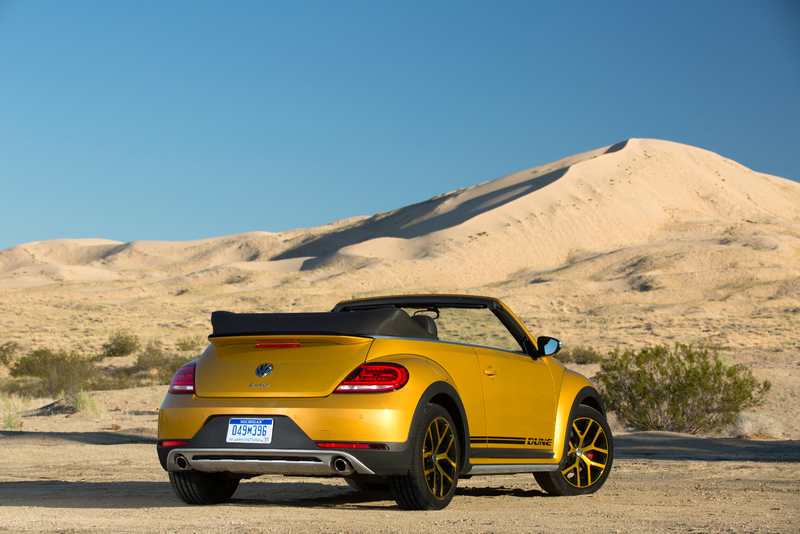 No performance figures are available for the moment. 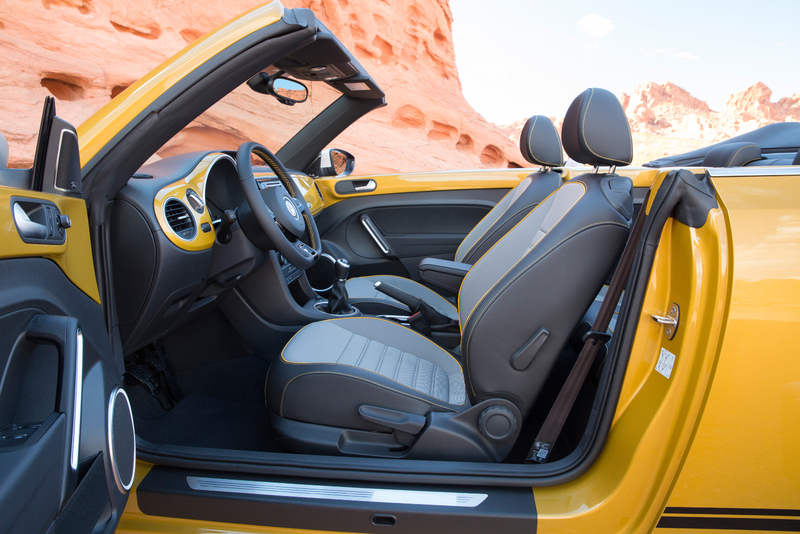 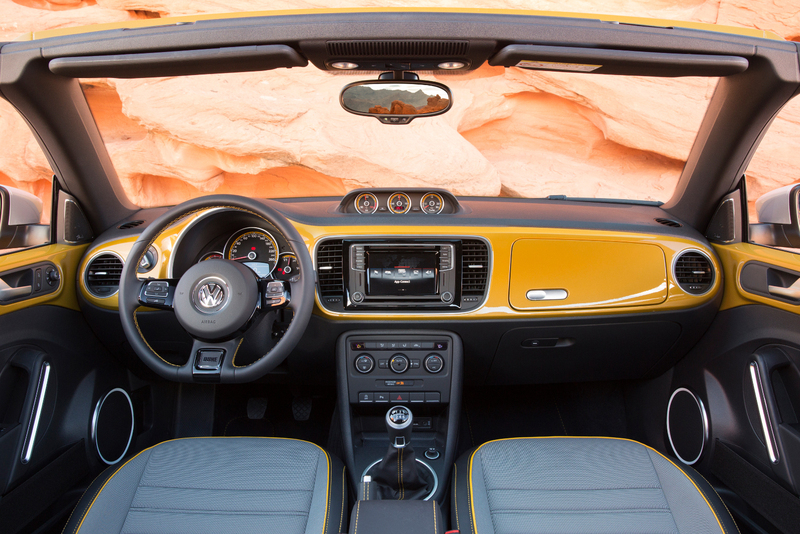 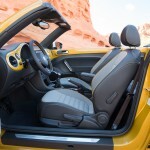 The cabin of the new Volkswagen Beetle Dune also standouts with high-end materials wrapping the interior or the steering wheel, complemented by the orange contrast stitching on the sports seats. 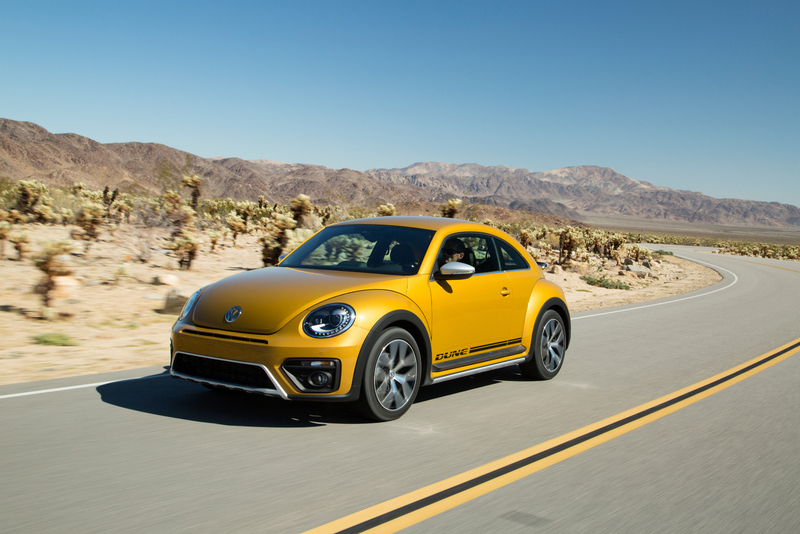 Other features include the 6.3-inch display for the new MIB II infotainment system, Apple CarPlay and Android compatibility, KESSY keyless access system, Climatronic dual-zone automatic climate control system and so on. 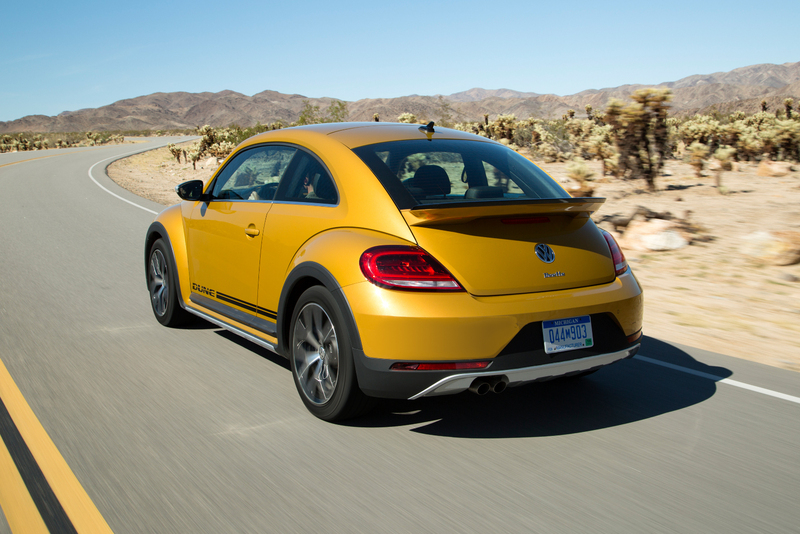 The prices and full performance details will be revealed next week, during the 2015 Los Angeles Auto Show!